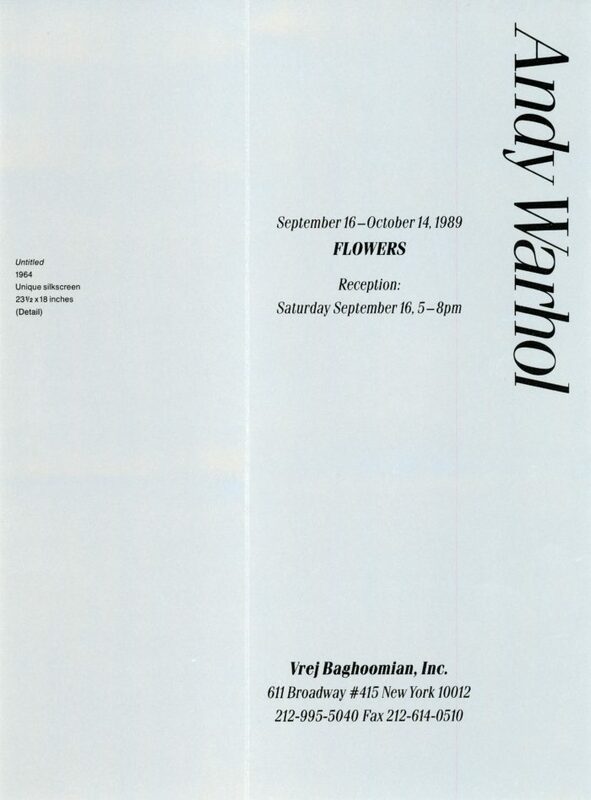 Folded card for Andy Warhol’s Flowers at Vrej Baghoomian Inc, 1989. Outside of the card features Warhol’s Untitled, 1964. 4″ x 9″ folded. 6.75″ x 9″ when unfolded.